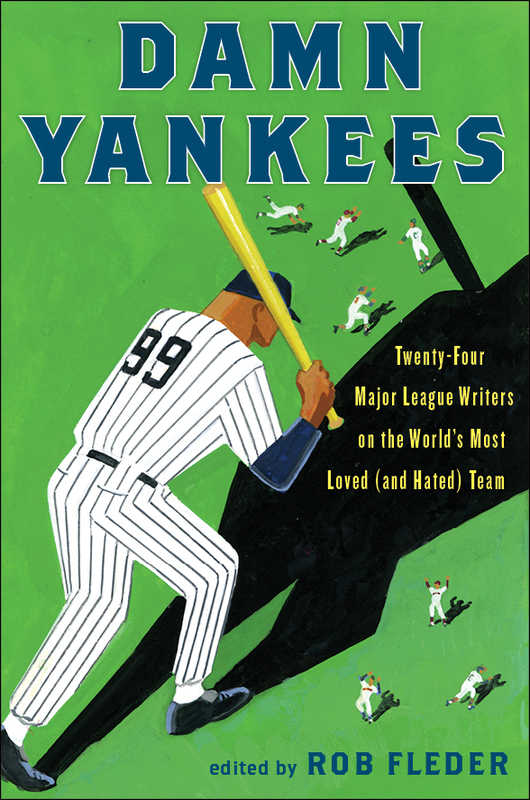 There won’t be a better book about the Yankees this spring than “Damn Yankees,” edited by Sports Illustrated veteran Rob Fleder. Consider a line-up that includes Frank Deford, Dan Okrent, Roy Blount Jr, Richard Hoffer, Bruce McCall, Leigh Montville, Jane Leavy, Rick Telander, Dan Barry, Tom Verducci, and Steve Rushin. Will Leitch has a hilarious article about the uncensored joys of watching a game in the stands at Yankee Stadium; Charlie Pierce offers a wonderful take down of Jerry Seinfeld’s glib “rooting for laundry” routine; William Nack and Michael Paterniti deliver elegant pieces about the Bronx Zoo Era team; Bill James gives us the 100 best seasons ever by a Yankee catcher, and J.R. Moehringer and Colum McCann come through with beautiful memoir essays. And then there’s our man, Pete Dexter, who writes about Chuck Knoblauch in such a strange, funny, and true manner that his story will stick with you for a long time. The book will be out this spring. And it’s a keeper. Looks like a nice big juicy steak. Yum. Yeah, the best of it is inspired. And the worst of it is still really good.